More than six times the amount of development aid to Africa leaves the continent – mainly to the same countries providing that aid. Although sub-Saharan Africa receives $134bn each year in loans, foreign investment and development aid, research released on Tuesday by a group of UK and Africa-based NGOs suggests that $192bn leaves the region, leaving a $58bn shortfall. The perception that such aid is helping African countries „has facilitated a perverse reality in which the UK and other wealthy governments celebrate their generosity whilst simultaneously assisting their companies to drain Africa’s resources“, the report claims. 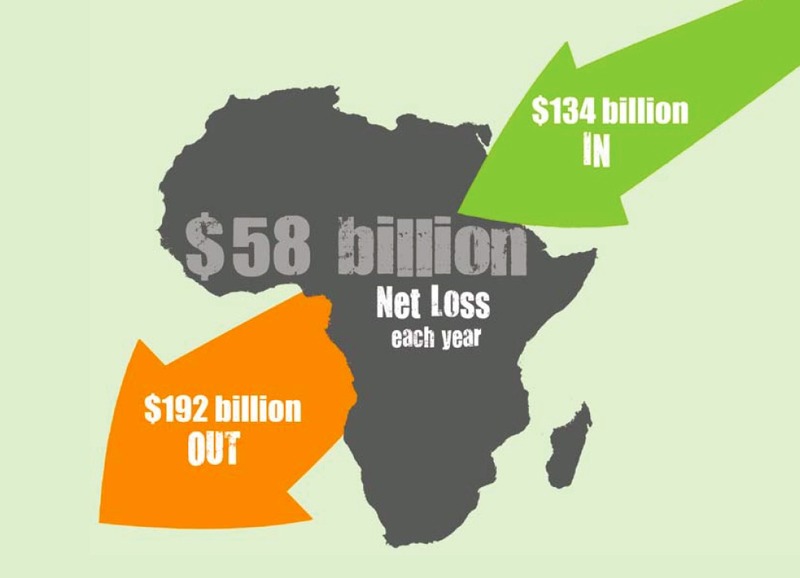 It points out that foreign multinational companies siphon $46bn out of sub-Saharan Africa each year, while $35bn is moved from Africa into tax havens around the world annually. The study, which also notes that African governments spend $21bn a year on debt repayments, calls for the aid system to be overhauled and made more open.